Transformers PROWL MP-17 Masterpiece Figure In Stock TAKARA TOMY TOY gifts 5"
Lead an Attacktix squad into battle and knock down your opponent's troops with real attack moves like launching missiles, power punches and more. Both of the figures in this booster pack feature unique attack moves and cool styling. 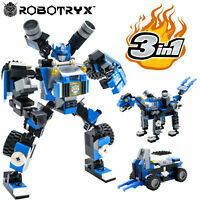 Add to your Attactix squad with two awesome battle figures. So set up, load up, and start battling, because the last one standing wins. 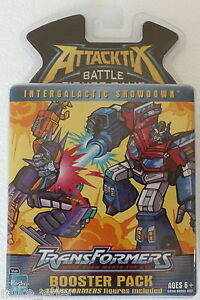 Booster pack includes two awesome Transformers battle figures.